Seattle indie rock outfit Special Explosion just recently inked a deal with Topshelf Records, who will be releasing their new EP, titled The Art of Mothering, on February 25. It’ll follow a bunch of self-released material, and you can check out the EP’s lead single “Clotheslined” (via Stereogum) at the bottom of this post. Guitar lines busily zip along on the track, much like the more upbeat numbers of Death Cab For Cutie’s Transatlanticism, yet the outfit also proudly display their gritty, shambolic abilities. The Art of Mothering is up for preorder via Topshelf. Special Explosion will be embarking on a U.S. tour in mid-February. 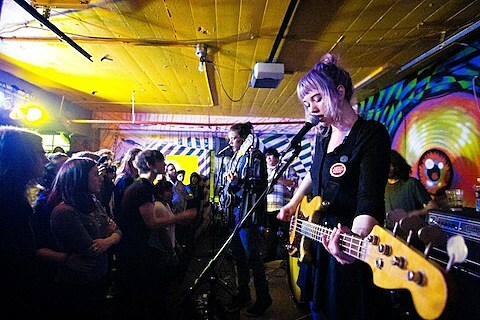 That tour includes a performance at Township on February 21 with support from Saint Louis emo band Foxing and Joie De Vivre (who are releasing a split with Prawn). Advance tickets for the Chicago show are on sale now.